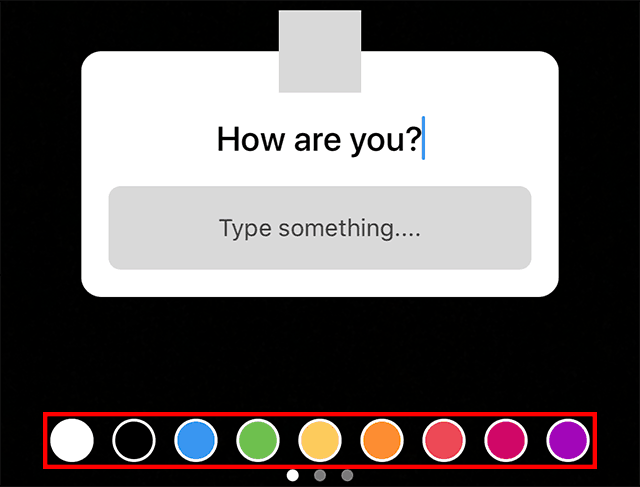 Instagram just added a questions sticker to Instagram Stories, giving users a new way to interact with one another. Our guide will show you how the questions sticker works. 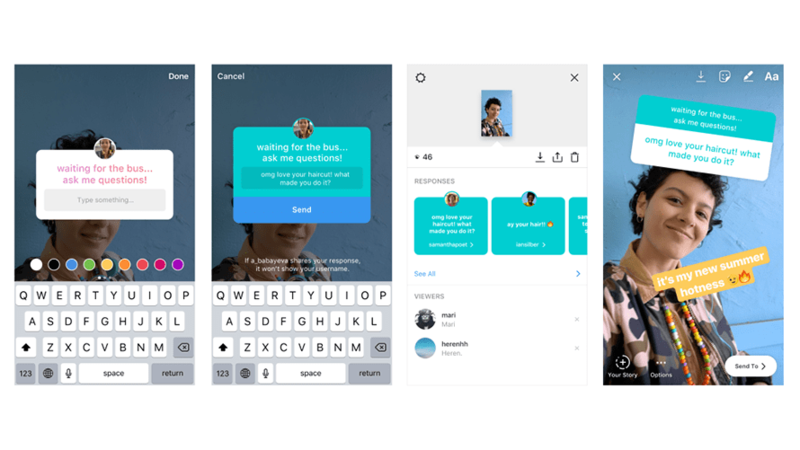 Step 1: Once you’ve taken or uploaded a photo or video to Stories, tap the sticker button near the top-right corner of the screen. Step 2: Tap the questions sticker. 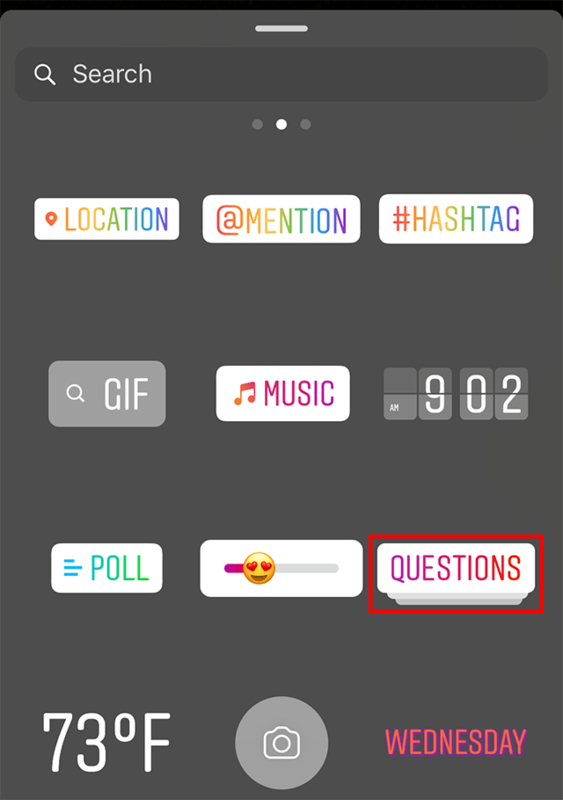 Step 3 (optional): The questions sticker can be used to ask your followers a question, or to prompt your followers to ask you questions. 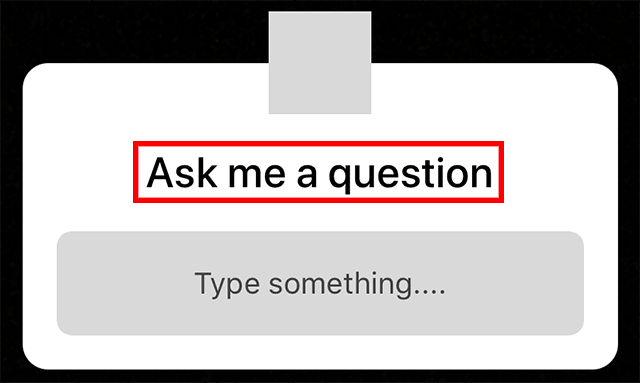 By default, the sticker will say “Ask me a question.” Tap this text to type your own question or prompt. Step 4: By default, the sticker will be white. Tap one of the colors underneath the sticker to change its color. 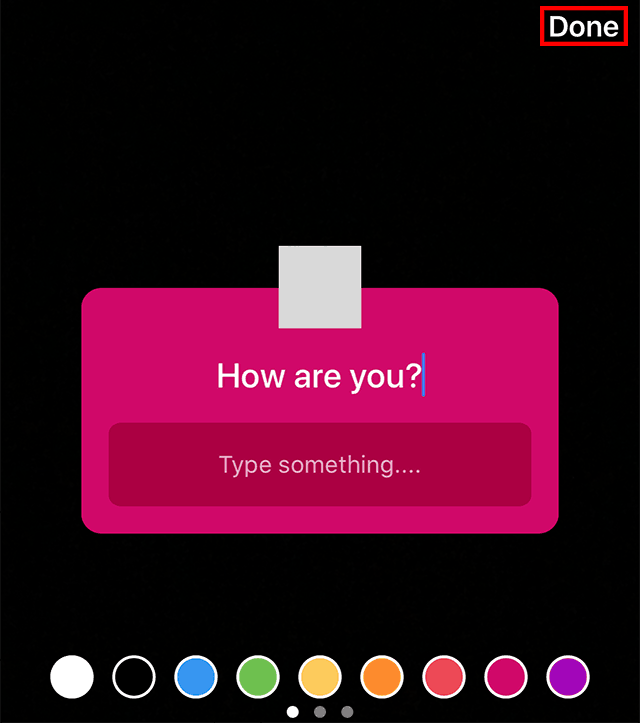 Note: You can swipe from right to left on the color bar to see two more sets of colors. Step 5: When you’re done editing the sticker, tap “Done” in the top-right corner of the screen. From here, you can rotate, resize and drag the sticker around the screen to best fit your post before sharing it.